While Gallia County boasts many miles of trails and there are multiple state parks in surrounding counties, Gallia itself does not have any state trails. Meigs County features Forked Run State Park. Raccoon Creek County Park (pictured) in Gallia is a popular hiking destination. COLUMBUS — The Ohio Department of Natural Resources (ODNR) will host five regional meetings for everyone from trail managers to planners to advocates to trail users. The focus of these meetings is to garner ideas, which will formulate a state plan for recreational trails. This plan helps to set funding priorities of the State’s Clean Ohio Trails Fund and the federal Recreational Trails Program. Topics of discussion will include nature trails, multi-use and greenway paths, water trails, motorized recreational trails, equestrian trails and mountain bike trails. Ohio offers more than 5,000 miles of trails for hiking, biking, bridle, mountain biking and water trails. Trails improve quality of life and boost outdoor recreational opportunities for all Ohioans, by allowing families and friends to participate in outdoor activities close to home. ODNR and the Ohio Trails Partnership are requesting feedback to create the state’s next plan for recreational trails of all types throughout Ohio. 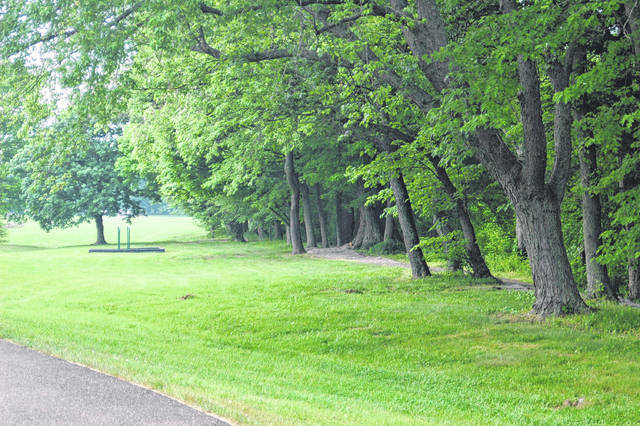 Each meeting will begin at 2 p.m. with a short presentation followed by facilitated input from meeting attendees to help chart a future for recreational trails across Ohio. A meeting will be held in each region. Gallia and Meigs Counties are a part of the southeast region, which will be held Thursday June 28 at the Division four Wildlife Office, 360 East State Street, Athens. People should RSVP for these meetings to ODNR Trails Coordinator Tom Arbour at tom.arbour@dnr.state.oh.us or 614-265-6575. Ohio continues to strive to be a leader in providing sustainable trails for all users offering an extraordinary network of world-class recreation and transportation opportunities linking communities, people and places while stimulating economic and social vitality.